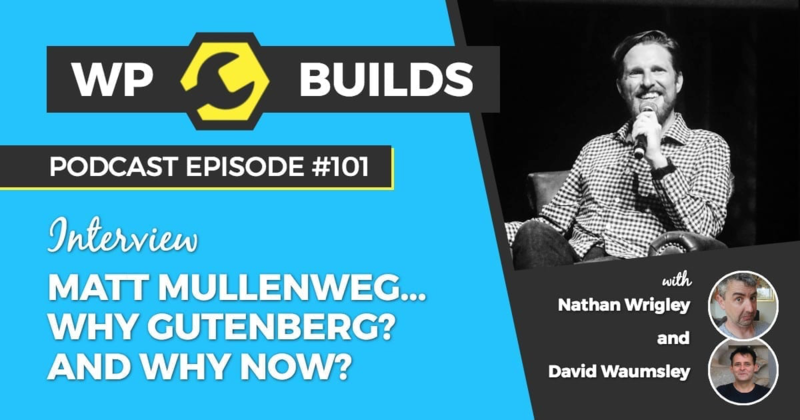 Interview – Matt Mullenweg – Why Gutenberg? And why now? Checkout this podcast by WPBuilds. They interviewed Matt, asking the top hot questions the whole WordPress community has recently. Gutenberg, why? and why now?